TOM SCRIBNER THE MUSICIAN. 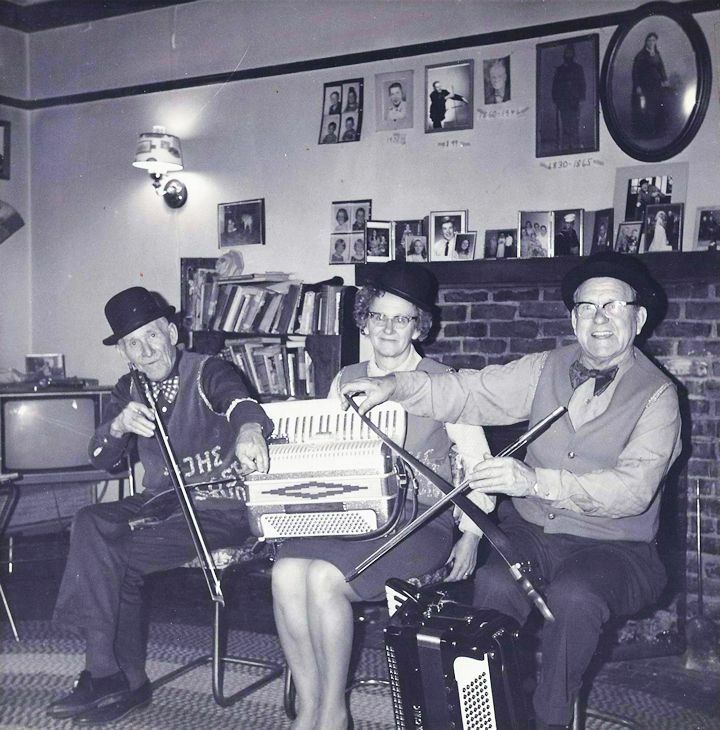 (L to R) Tom Scribner musical Saw, Arlene Sutton accordion and piano, and Herman Olson musical saw and accordion. Because I’m receiving the first ever Tom Scribner Award this next Saturday I thought this would be a good time to share some of his two sided history. Tom, Arlene and Herman made up “The Country Serenaders” and played many, many senior homes and benefits around the county for years. Tom’s colorful vest says, “The Lost Sound” and he had played the saw for fun and meeting people since 1910. He never “busked” or passed the hat. Tom wasn’t the greatest saw player in the world but because of his creating Santa Cruz’s annual Musical Saw Festival (this year is the 39th annual) we did get to hear many, many of the planet’s greats. SANTA CRUZ DOWNTOWN HOSPITALITY HOST PROGRAM ENDING!!! 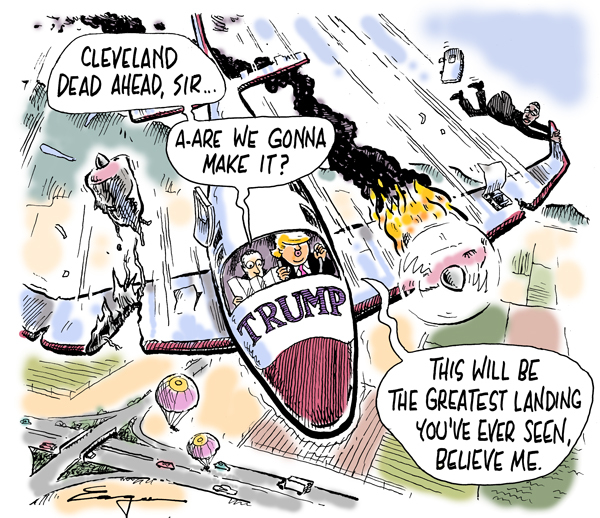 TOM SCRIBNER & POLITICS. Tom cared much more about politics than the musical saw. 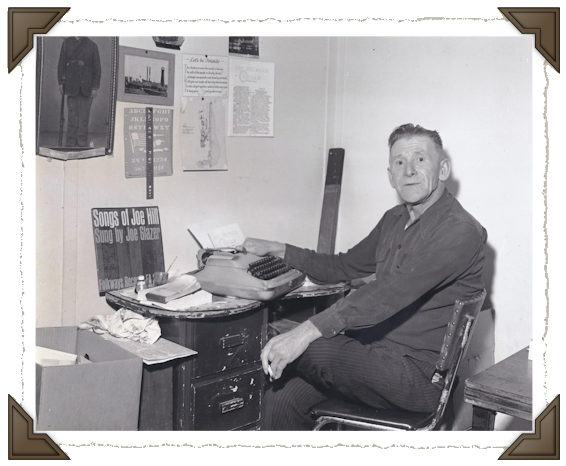 Born in 1899, he was a tree cutter and very active with the Industrial Workers of the World. (I.W.W.). He moved here in the mid 60’s and from his home in Davenport he published a monthly/occasional publication “The Redwood Ripsaw Review” and took on all comers, locally and internationally. Santa Cruz City Council members (Edler, Mahaney & Ghio) back in the late 70’s didn’t like Tom’s left-Socialist politics and fought hard to stop Marghe McMahon’s statue from being placed in SCOPE park next to the Town Clock in 1978. The square later became known as Scribner Square. The Square was later tagged for development and the statue was moved in front of Bookshop Santa Cruz in July 1993. There’s also going to be awards given to Desal Alternatives for Achievement of The Year; Sherry Conable, Steve Pleich, Mathilde Rand and Gail Williamson for Unsung Heroes Award. I’m proud to announce, again, that yours truly is being awarded the first ever Tom Scribner Award. This most certainly is not for my musical saw playing, which I’ve almost given up entirely. Donation at the door. For more information call 465-8272. Of course I’ll see you there. COUGAR RESCUE. It’s about 6 minutes long and is wonderfullyinteresting to watch. And it’s sure not one of those kissy-poo clips. “BEEDLE UM BUM”. Just one of my favorite 78’s that our Pasadena gang listened to and later our Palomar String Band (aka. Hot Damn String Band) played many, many times. SWANTON STRAWBERRIES. Daughter Jennifer found this new clip of our long time Swanton Road neighbor Jim Cochran……..
Just wanted to report in on a great name in today’s (3/30/16) issue of the Santa Cruz Sentinel. In an article about new buildings being proposed near an agricultural zone…it stated .. I think Juggy Tut (I checked it on the Elite Development website) ranks up there with three other local Santa Cruz names I’ve collected….Cashmere Tango Obedience*, E. Pluribus Eubanks,and Fortunato Macadangdang. Leah replied almost immediately…”Thanks Bruce. I Googled Juggy. Looks like he’s a gentleman of East Asian descent. I’m a bit loath to make fun of someone’s name, especially from another culture.Nonetheless, thanks (and I hope you understand). Best, Leah. * p.s. I met Cashmere Tango Obedience, who’s real name was Kashmiri Obediencia. He actudally changed it because he loved to tango! WHAT’S IN STORE FOR APTOS? I found myself in Los Altos Sunday, looking for a sandwich shop in their “downtown”. It was a quiet, spotless collection of shops, lawyer’s offices, and a nice deli among other things. Walking around was educational, because there looming before my eyes was a two story parking garage to accommodate a two story Safeway. It was equipped with elevators for moving shopping carts of groceries to the parking garage. Could this be what was in store for Aptos before Safeway sold to the next speculator/developer? My guess is yes, that was exactly the bullet we Aptosians dodged (for now). If this project is approved with little public opposition it will be a coup for big business and the tourist industry. Among the losers will be the small, historical wharf business owners who will see their leases expire with the city refusing to renew them (think Andy’s Bate and Tackle) as it proactively seeks out the “best in class” through “competitive bidding.” Or favoritism. While new commercial and retail will gain an extra 2,960 square feet of space, and public access an additional 108,000 square feet, zero new space is allocated for parking, vehicular circulation and wharf operations. As for losing an historical icon, the Initial Study (IS) sees no significant impact since they are not going to “demolish, destroy or relocate” the wharf. That’s a low bar for historical preservation. This project has been fishy from the beginning. The Initial Study fails badly on traffic, marine mammal protection and historical integrity. On the one hand we are assured that the new features will be executed in similar materials as the current wharf and then we are told that stainless steel will replace the wooden railings on the eastern side. We are told there will be no additional space set aside for parking although the purpose of the project is to attract thousands if not millions of new visitors. Forty additional spaces will be created by decreasing the width of existing parking spaces, making it difficult for elderly wharf patrons who need space for walkers and some inches for exiting their vehicles. In its coverage of traffic, as with water issues, the IS refers back to the General Plan (this is called tiering) and concludes that the traffic and water impacts of the Wharf Master Plan are less than the upper limits anticipated in the General Plan. With this sleight of hand, the impacts are dismissed. And if there is any doubt, they can be mitigated to less than significant based on the provision of 60-150 bicycle spaces and possibly a shuttle. Dream on. There is an acknowledged significant impact on marine mammals in the vicinity of the construction zone. The IS states this will be mitigated to a less than significant degree with a marine mammal monitoring plan which is mentioned but with no detail. The document states that USFWS and NOAA will be contacted to determine the best approach for excluding target species from the in-water work area. These agencies should have been contacted and a detailed protection plan developed as part of and included in the Initial Study for public comment and evaluation. There is no mention of the impact on marine mammals such as sea otters from the expanded use of kayaks, paddleboards, small boats and large vessels. Our municipal wharf deserves a more honest, forthright evaluation of this radical makeover and its impacts. That will only happen if you care enough to comment. PATTON’S PROGRAM. Gary states in his KUSP Land Use Broadcasts this week…. THE WATER, LAND USE & TRANSPORTATION ALL GO TOGETHER. When development decisions ignore the availability of adequate water resources, long term impacts can be severe, and necessary corrections can be costly. If developments are approvedwithout properly accounting for their traffic impacts, the community ends up with gridlock. The state of Highway One in Santa Cruz County is a good example. It’s not so easy to escape from gridlock once overdevelopment has created it, and necessary corrections can be costly. The Monterey Peninsula is certainly finding that out! This rule applies to transportation, too. If developments are approved without properly accounting for their traffic impacts, the community ends up with gridlock. The state of Highway One in Santa Cruz County is a good example. It’s not so easy to escape from gridlock, once overdevelopment has created it, and corrections there are very costly, too. Providing robust transit services is one way to mitigate the transportation impact of development. Getting people to take transit significantly reduces the traffic congestion caused by everyone trying to get around in an individual vehicle. But what happens when transit mitigation measures are cut back or eliminated? That is the question that the Santa Cruz County Regional Transportation Commission will be wrestling with this week, Thursday 4/07. The Transit District is making big service reductions because the District doesn’t have enough money to maintain existing bus routes. The City of Santa Cruz is concerned. If bus service is removed from major transportation corridors, there will be a lot more gridlock in the City of Santa Cruz, and on Highway One. Read the complete scripts of the above at Gary Patton’s KUSP Land Use site http://blogs.kusp.org/landuse. SANTA CRUZ CHAMBER PLAYERS CONCERT. The Players close their season April 9th and 10th with….“Blues and Rags to Riches”. Music by William Bolcom, Maurice Ravel, and Johaness BrahmsRoy Malan, artistic director and violin …Susan Freier, violin; Polly Malan, viola and Stephen Harrison, cello; Ian Scarfe on piano. From blues and rags to riches says it all; a journey from lightheartedness to profundity, at the tiller the creative guiding hands of three master composers. By 1910 Ravel was a famous man, which prompted a young George Gershwin to ask Ravel to teach him to write like he did. Ravel answered by asking Gershwin how much money he had made from Rhapsody in Blue. William Bolcom’s homages to Jelly Roll Morton and James P. Johnson have become American national treasures. Like other European composers of his period, Johannes Brahms was affected by folk and gypsy influences, which can be detected in the Scherzo of his Piano Quintet. But providentially for its performers and listeners, his main influence was simply Brahms himself. LANDMARK THEATRES & FREE PASSES!!! For at least ten years we’ve been awarding two free passes (Nickelodeon and The Del Mar) weekly to the first listener calling in with the correct answer to my movie question on KZSC’s “BushWhackers Breakfast Club” at 8:10am on Friday mornings, right after I do my weekly film critiques. It took a bit of adjustment but Landmark Theatres realized just how popular those passes and the program is and we’re back giving away passes. Thanks Landmark. LISA JENSEN LINKS. Lisa writes: “Find out what happens when fairy tales once again inspire an episode of Project Runway, this week at Lisa Jensen Online Express (http://ljo-express.blogspot.com). Also, I Saw the Light doesn’t provide much insight into the astonishingly short, but productive life of Hank Williams, but at least Tom Hiddleston has presence to burn in the starring role.” Lisa has been writing film reviews and columns for Good Times since 1975. ……..ONLY ONE FILM THIS WEEK DUE TO SERIOUS POLITICS……. BATMAN V SUPERMAN. Remember when these two heroes were nice guys with even some humanity and humor? Don’t even try thinking about a fully clothed Clark Kent getting into the bathtub with a naked Lois Lane (Amy Adams). Avoid thinking about Batman wanting to kill Superman or space monsters in Metropolis. Metropolis at least has Laurence Fishburne playing Perry White, editor of The Daily Planet. Ben Affleck as Batman??? Jeremy Irons as Batman’s butler? Then for some reason Wonder woman comes in near the end. They have besmirched our legends…don’t go. THE WAVE. This subtitled, well-acted, disaster film from Norway is excellent. It’ll keep you absolutely glued to the screen, and you’ll be in constant wonder as it takes some unusual twists and plot turns (especially for a disaster film). Films like The Tower, San Andreas, Cave In, Avalanche and Towering Inferno all have so many scenes in common. More than that, good disaster films keep you thinking about “What would I do”? The Wave has all of that and just a little bit of Hollywood at the end. See it on the biggest screen possible. The way it shows a tourist town being flooded will make you wonder if Santa Cruz has ever taken tsunamis and their danger very seriously?? KNIGHT OF CUPS. Terence Malick’s newest “profound”, “deep”, “introspective” film has Christain Bale leading the cast with Cate Blanchett, Natalie Portman, Brian Dennehy all appearing in flashes,with hardly any lines, and rarely even moving the non-plot forward. It’s series of images, and if there is a story (plot) it’s probably about a very rich screenwriter son relating to his father and figuring out what his lefe means. It’s shot in Santa Monica, Las Vegas and beaches and lots of parties and some strip joints. Much of the dialogue is purposely undecipherable, like the plot. Don’t go unprepared, and I haven’t any idea how to prepare. ALLEGIANT, Part of the Divergent series. This mess got a 10 on Rotten Tomatoes, and deserved about a 2. Shailene Woodley once again leads her group of troopers out of Chicago and you can’t blame her. It’s the future and Chicago has been destroyed by secret nasty people led by Jeff Daniels. Jeff has something to do with altering genomes and making people nutty. The flimsy, thrown together plot is too confusing and too improbable to explain. Just remember that no matter how bad Chicago is in the future, outside the wall that surrounds it…it’s even worse. So’s the movie, don’t go. EDDIE THE EAGLE. This movie claims it was based on a true heart tugging story. Hugh Jackman plays a big role as Eddie’s coach/friend and now we find out none of that was true.It doesn’t matter if any of this gross, manipulating, saccharine, dulcet, mellifluous, sugar coated movie is true…it should be made illegal. It’s that sappy. Why Jackman and nasty ol’ Christopher Walken (only at the end) showed up for filming can only be attributed to a need for money. Don’t go…ever. It’s about psychologically challenged Eddie becoming a British ski jumper in t he Olympics. (See next paragraph) and go to WWW.KZSC.ORG. There’s no Universal G’vine on April 5 because KZSC is broadcasting Robert Reich’s talk at The Rio Theatre live that same night. April 12 has UCSC’s Matthew Lasar talking about his new book, “Radio2.0 : Uploading the 1st Broadcast Medium”. Then Phil Kramer of the Homeless Services Center gives us the scoop on their plans and accomplishments. April 19 has Joan Van Antwerp describing Albee’s play “A Delicate Balance” opening at the Center Stage (4/8-4/23). She’s followed by Laurie King, author of 14 Mary Russell (Mrs. Sherlock Holmes) mysteries detailing her Bookshop Santa Cruz new book signing on April 20. UNIVERSAL GRAPEVINE ARCHIVES. In case you missed some of the great people I’ve interviewed in the last 9 years here’s a chronological list of some past broadcasts. Such a wide range of folks such as Nikki Silva, Michael Warren, Tom Noddy, UCSC Chancellor George Blumenthal, Anita Monga, Mark Wainer, Judy Johnson-Darrow, Wendy Mayer-Lochtefeld, Rachel Goodman, George Newell, Tubten Pende, Gina Marie Hayes, Rebecca Ronay-Hazleton, Miriam Ellis, Deb Mc Arthur, The Great Morgani on Street performing, and Paul Whitworth on Krapps Last Tape. Jodi McGraw on Sandhills, Bruce Daniels on area water problems. Mike Pappas on the Olive Connection, Sandy Lydon on County History. Paul Johnston on political organizing, Rick Longinotti on De-Sal. 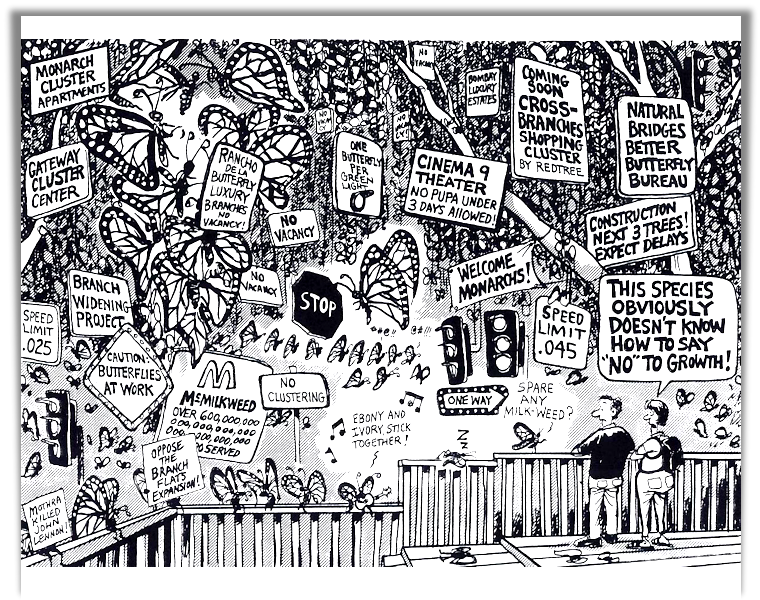 Dan Haifley on Monterey Bay Sanctuary, Dan Harder on Santa Cruz City Museum. Sara Wilbourne on Santa Cruz Ballet Theatre. Brian Spencer on SEE Theatre Co. Paula Kenyon and Karen Massaro on MAH and Big Creek Pottery. Carolyn Burke on Edith Piaf. Peggy Dolgenos on Cruzio. Julie James on Jewel Theatre Company. Then there’s Pat Matejcek on environment, Nancy Abrams and Joel Primack on the Universe plus Nina Simon from MAH, Rob Slawinski, Gary Bascou, Judge Paul Burdick, John Brown Childs, Ellen Kimmel, Don Williams, Kinan Valdez, Ellen Murtha, John Leopold, Karen Kefauver, Chip Lord, Judy Bouley, Rob Sean Wilson, Ann Simonton, Lori Rivera, Sayaka Yabuki, Chris Kinney, Celia and Peter Scott, Chris Krohn, David S wanger, Chelsea Juarez…and that’s just since January 2011. Congratulations on receiving the 1st Tom Scribner Award! Thank you for posting the photo of his trio. Wonderful history.